As soon as In Win told me they were sending out their 101C case for review, I was immediately excited and brimming with ideas for the accompanying build guide. 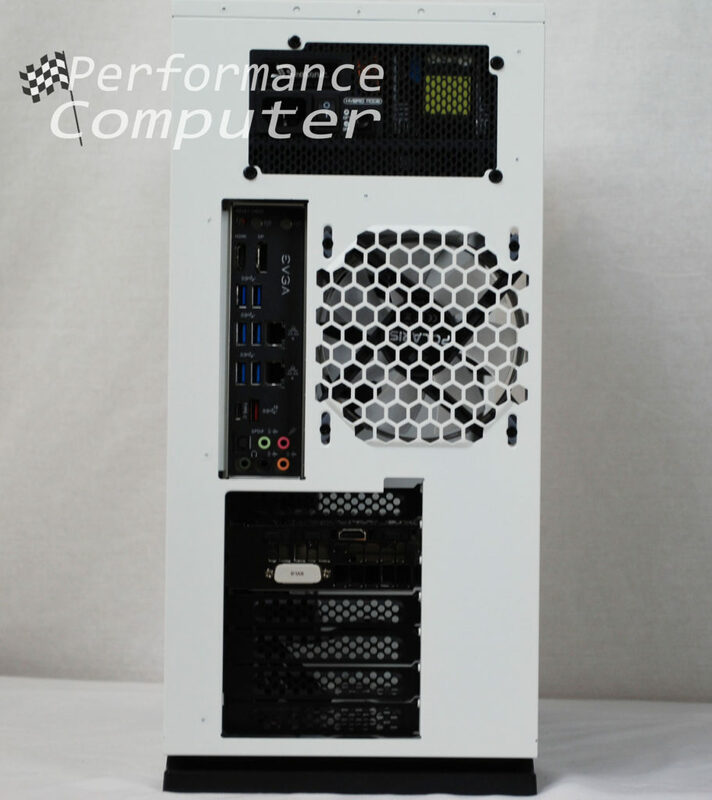 While it is priced as an entry-level case, the In Win 101C is quite capable and has many of the modern features seen on higher end cases. As you’ll soon find out, this affordable mid-tower can comfortably house a powerful workstation or gaming PC. In addition to the 101C build guide, we will also be publishing comprehensive reviews of every component used in this build. 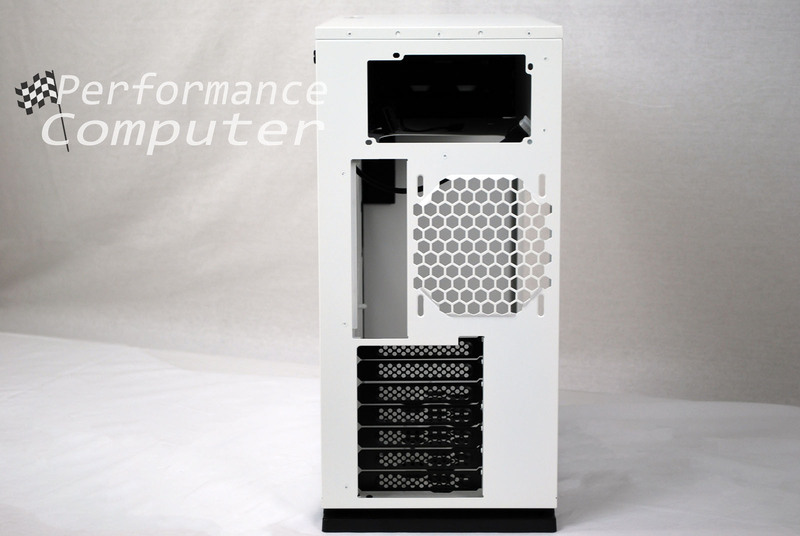 The In Win 101C is the case I wish had been available when I built my first computer. That first time is immensely fun and begins a lifelong process of upgrading, rebuilding and learning along the way. 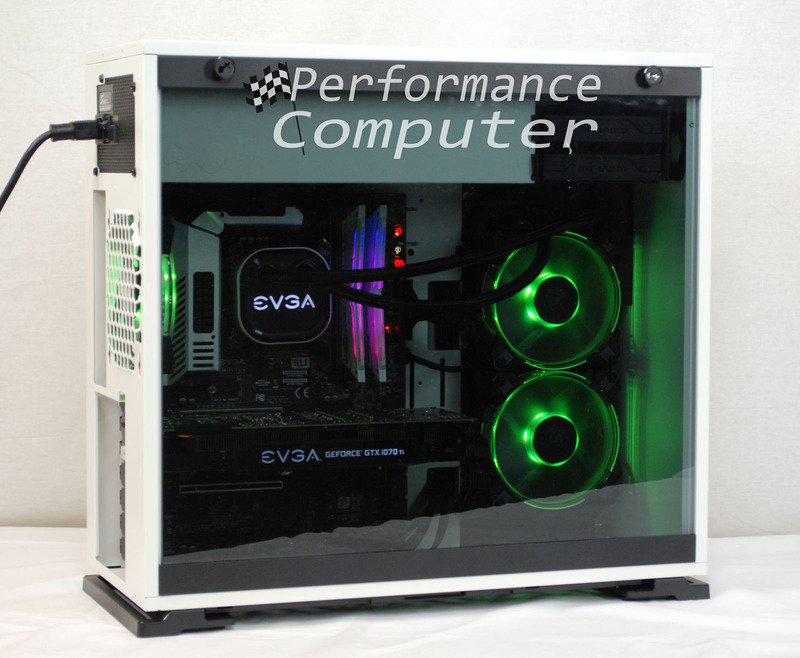 Case choice is an important factor in your decision to take the plunge into building custom computers. 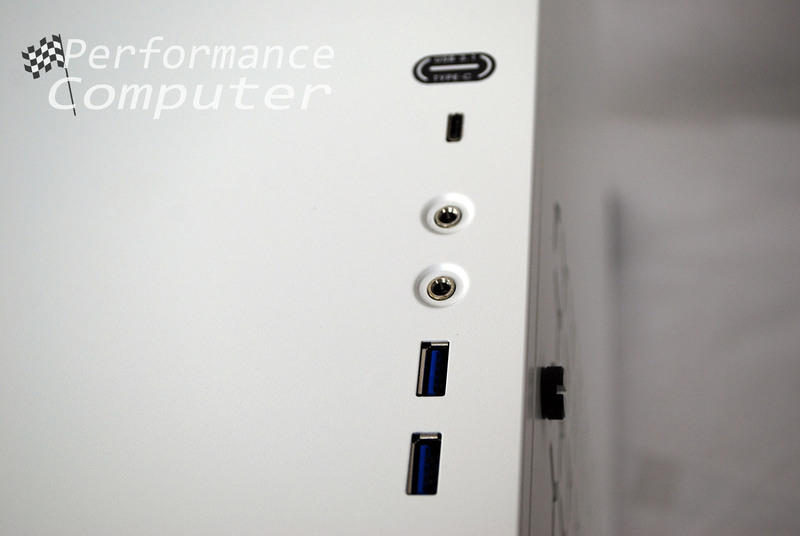 Ideally, you want something that looks attractive, has support for the hardware you will be using as well as additional support for hardware upgrades down the road. The 101C accomplishes this and more! 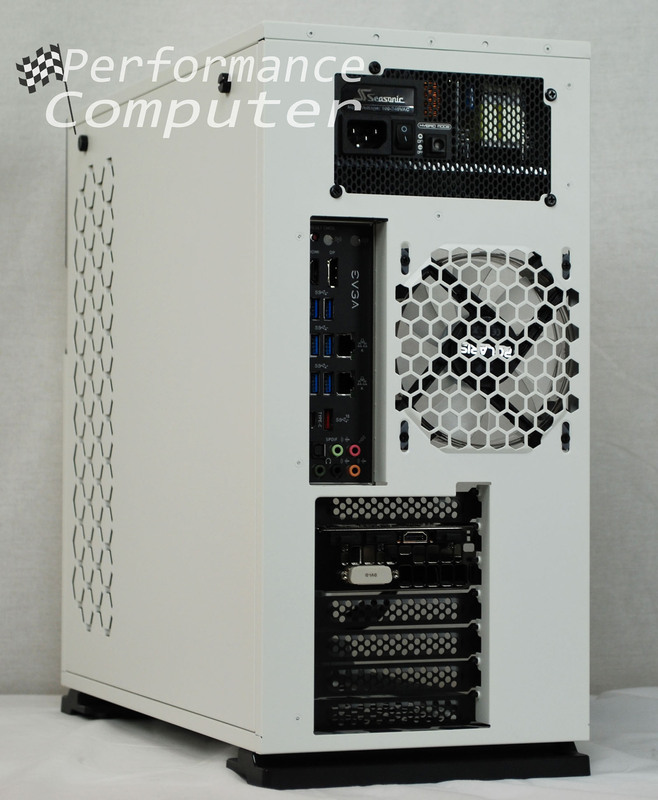 The white 101C we were provided with looks quite striking! 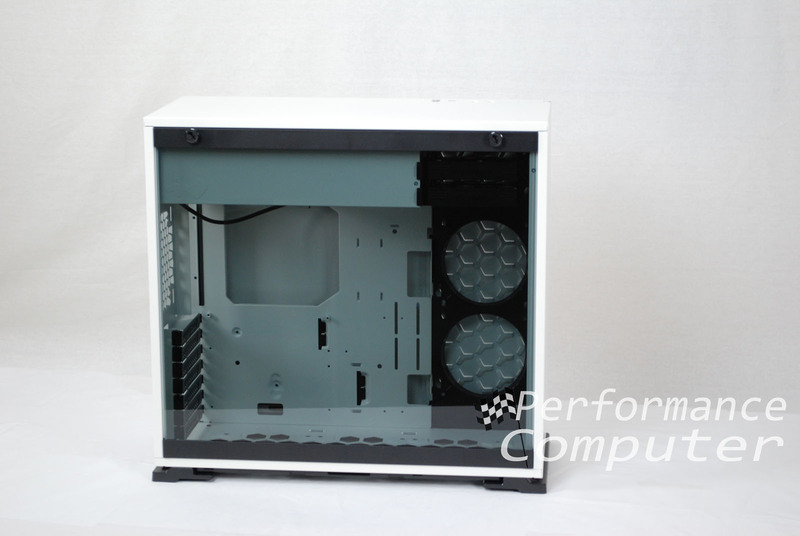 The front is tastefully minimalistic, containing a solid non-removable panel with an RGB In Win logo in the top right corner. 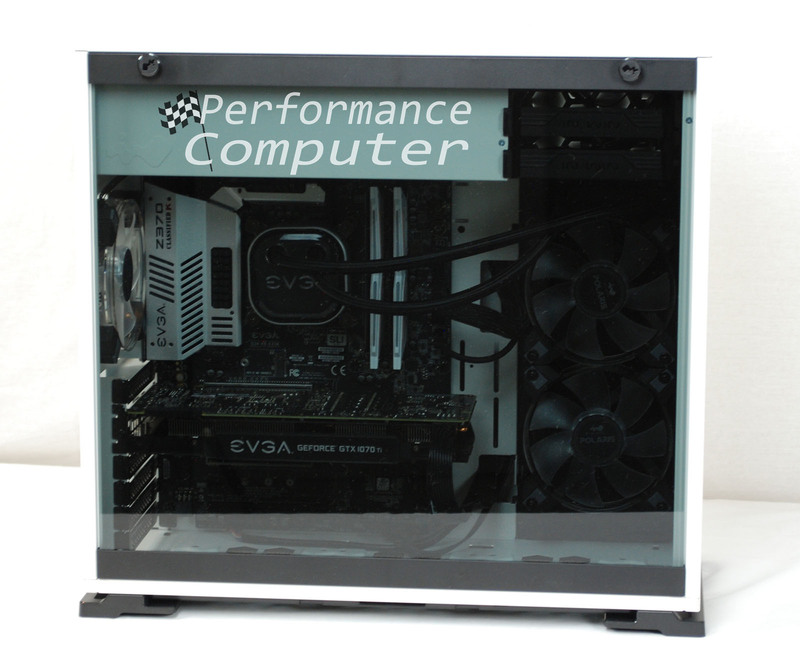 The primary side panel is made of quality tinted tempered glass and has plastic accents on the top and bottom. 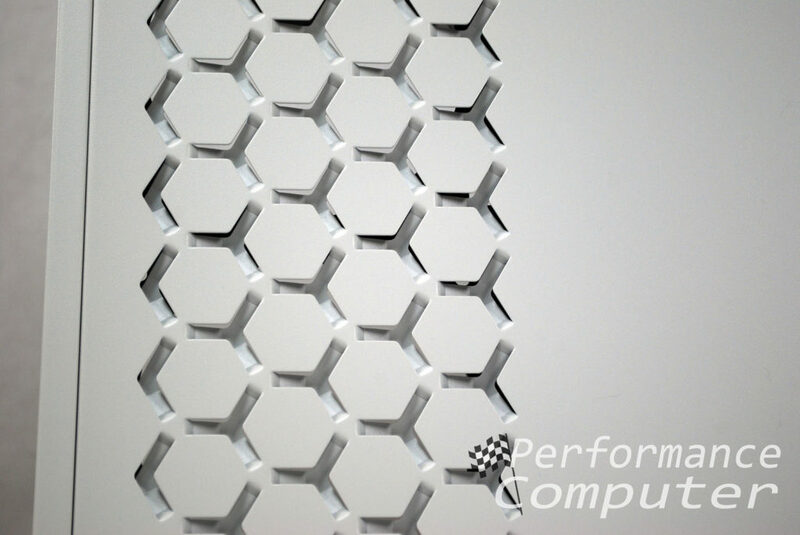 The back-side panel is made of solid steel and contains an interesting honeycomb pattern which provides ventilation for two internal vertically mounted radiator fans. 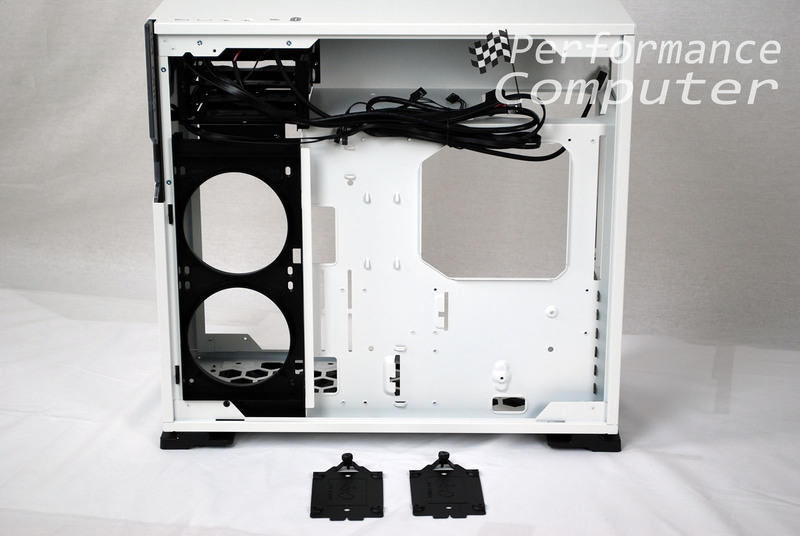 Both side panels are tool-less, the tempered glass panel has two plastic clips that you pull to unlock the panel while the back side panel has low-profile screws which are secured to the metal and can be screwed in or hand tightened. Finally, the rear of the case shows the cutout for the power supply, the rear I/O shield cutout as well as a 120mm rear fan mount that supports 120mm radiators. 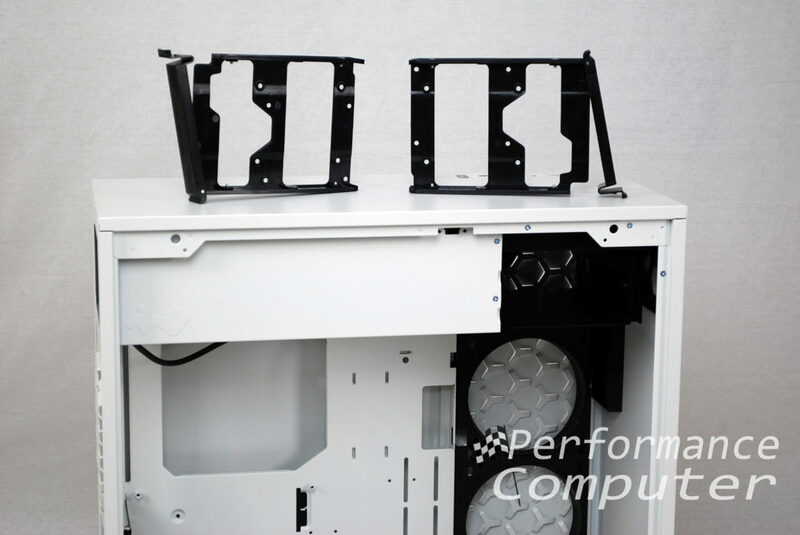 The PCI brackets are all black to match the white/black theme of the case and are ventilated to allow additional airflow. 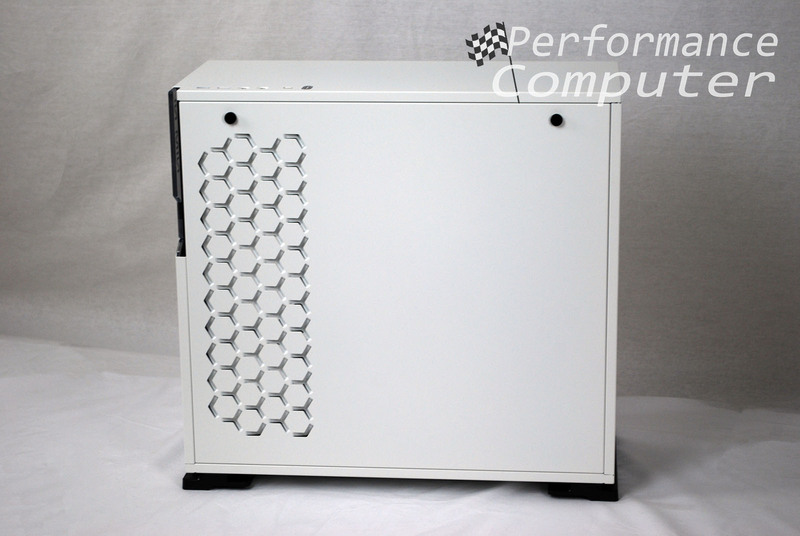 I have built in several In Win cases and the quality and craftsmanship they bring to the table is simply unparalleled. 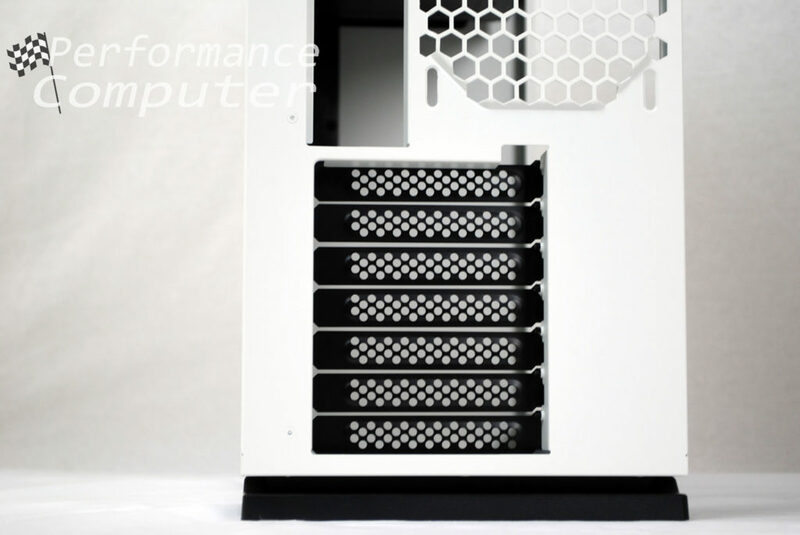 The majority of the 101C is steel, a minimal amount of plastic is used for the case feet, 3.5” hard drive bays, accents on the tempered glass side panel and vertical fan mounts. The matte white steel is welcome as it prevents fingerprints. At this price point, I was incredibly pleased with what you get. Simply put, this case is solid and well made. At this point I should mention that In Win makes two different but very similar versions of the 101 case. The regular 101 includes all the features of the 101C except for the USB 3.1 Gen 2 (10Gbps) type-C connector on the top panel front I/O as well as the RGB lighting option for the front case logo. 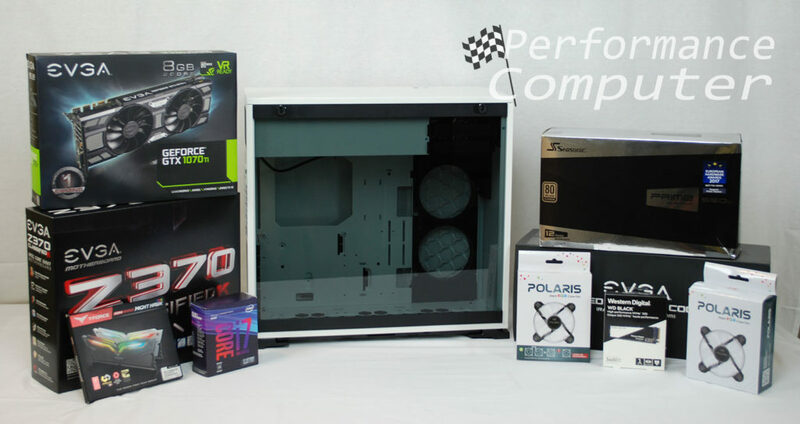 The parts selected for this build are for a top-tier workstation/productivity machine but are also excellent choices for a gaming PC. As with all builds, we began by removing the EVGA X370 Classified K motherboard from the packaging and placing it on its box. 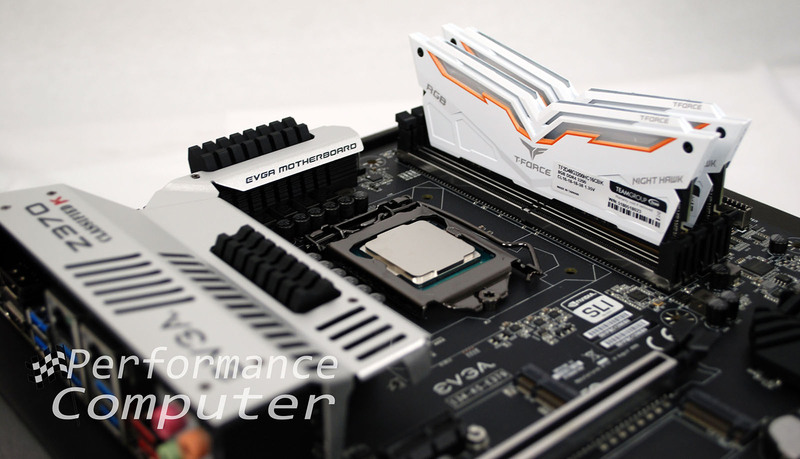 We dropped in the Intel Core i7-8700K processor and secured it via the CPU socket latch. 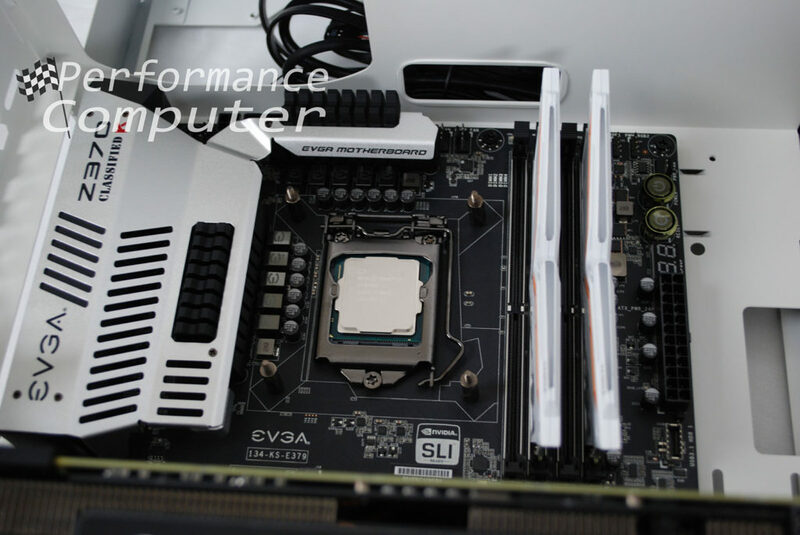 This processor-motherboard pairing will allow us to overclock the 8700K for maximum performance and the Classified K motherboard has support for all our hardware including a header for the USB 3.1 Type-C port on the 101C. Furthermore, the Classified K perfectly matches the white/black theme with its all black PCB and silver VRM MOSFET heatsink. 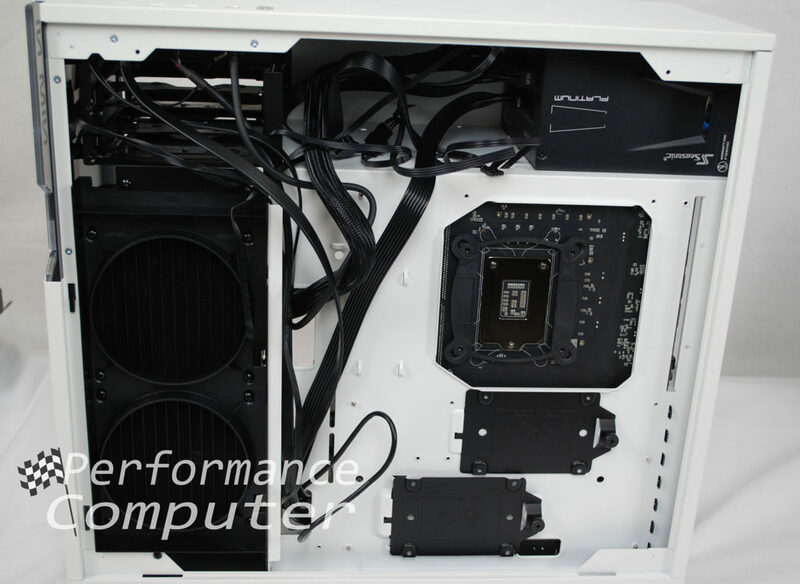 Next, we installed the white Teamgroup Team 16GB NIGHT HAWK RGB DDR4 memory kit. This RAM is by far, the best-looking memory I have ever seen. Every aspect, from the black PCB to the stunningly unique hawk wing design; even the font choices for the words “T-FORCE”, “RGB” and “NIGHT HAWK” are perfect. And yes, this RAM comes complete with RGB lighting which has some interesting effects that further complement its sharp look. 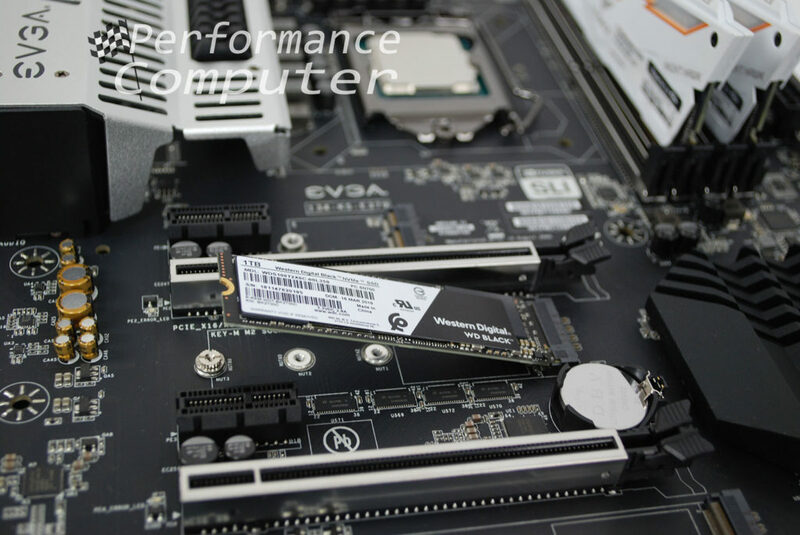 The final component that could be installed directly onto the motherboard was the 1TB Western Digital WD Black NVMe M.2 SSD. This SSD is blazing fast, has an industry best 5-year warranty and is currently the best value on the NVMe SSD market right now. It competes directly with Samsung’s 970 EVO and PRO series, beating both drives sequential write speeds of 2,500 MB/s and 2,700 MB/s respectively and trading blows with the 970 PRO’s 3,500 MB/s sequential read speed with a 3,400 MB/s read speed of its own! Now that the Classified K motherboard was outfitted with our processor, memory and M.2 NVMe SSD, we were ready to install it in the 101C. 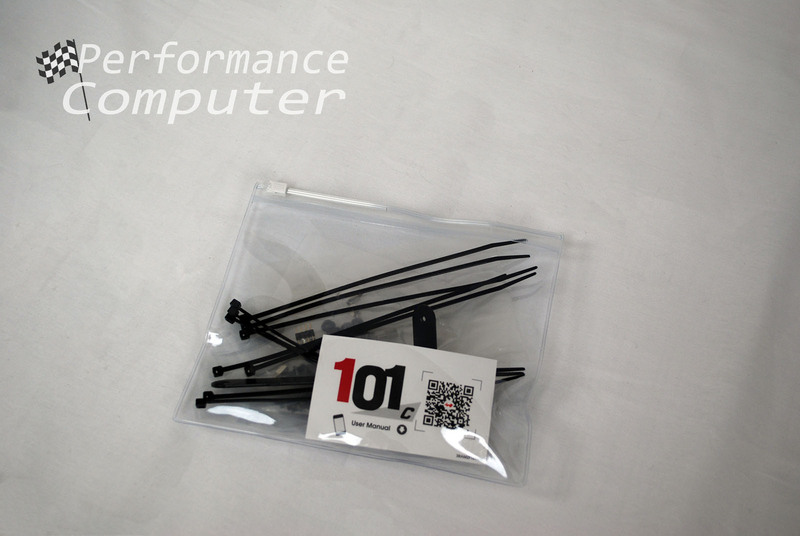 The case came with 4 non-removable matte white painted motherboard standoffs, so we screwed in the additional 7 silver standoffs with the standoff socket screwdriver attachment provided in the accessories bag. The motherboard was then placed onto the standoffs and secured into place with the black hexagon head screws. So far, so good. We installed our EVGA GTX 1070 Ti SC graphics card with ease. EVGA’s GPUs are among the most attractive looking and the 1070 Ti has more than enough graphics power for our 4K video editing workstation. 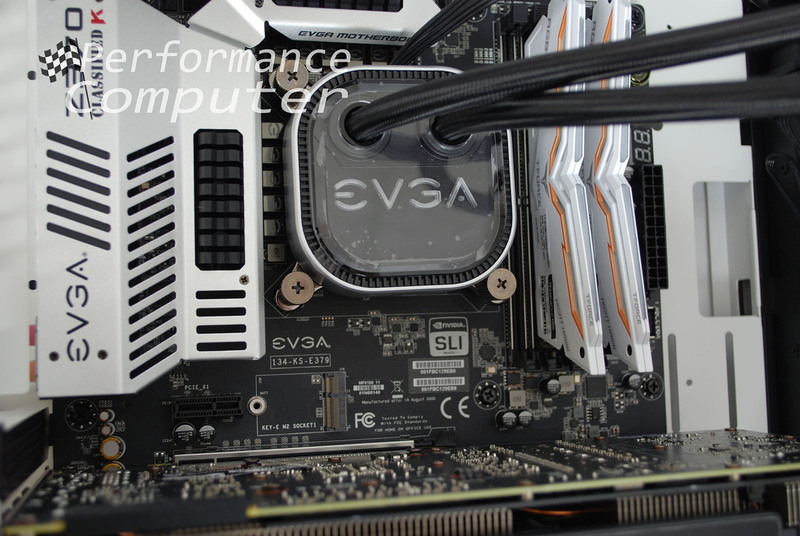 Our CPU cooler, the EVGA CLC 240 “all in one” liquid cooling system has a backplate that attaches to the back of the motherboard and 4 standoffs that are then screwed into the backplate. 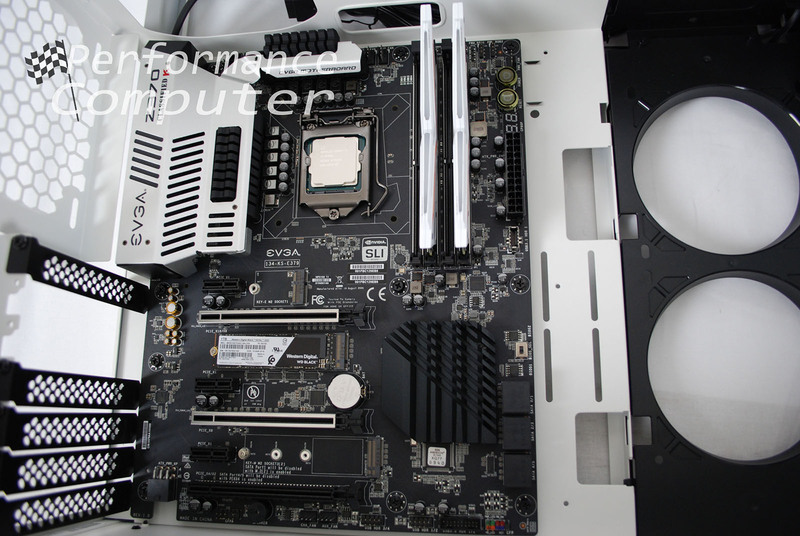 We installed the backplate with ease thanks to the large motherboard cutout present on the 101C. 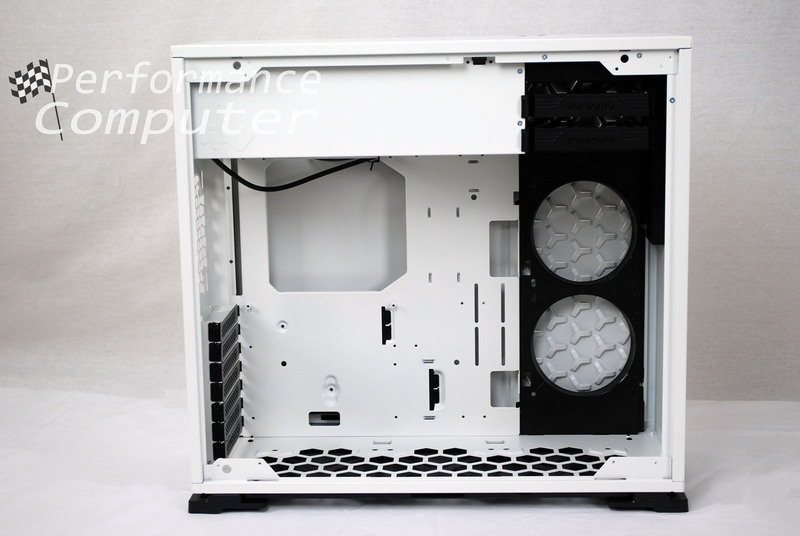 The 101C has a 240mm mounting area where liquid cooling radiators can be installed in a vertical orientation. The installation process was simple for our CLC 240. We screwed the radiator onto the eight mounting points in the 101C’s plastic vertical mounting frame. We then installed the retention ring onto the CPU block/pump and secured the retention ring via the 4 four screw nuts that screw into the 4 standoffs we installed earlier. 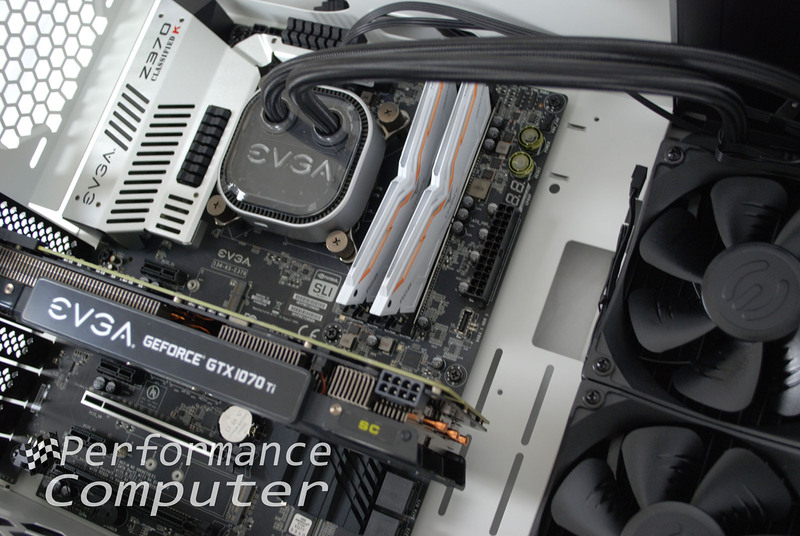 Next, we swapped out the stock CLC 240 radiator fans with two of the three In Win Polaris RGB fans. These fans are exceptionally well made and feel great in your hands. Yet again, In Win impressed us with their superior quality and craftsmanship. 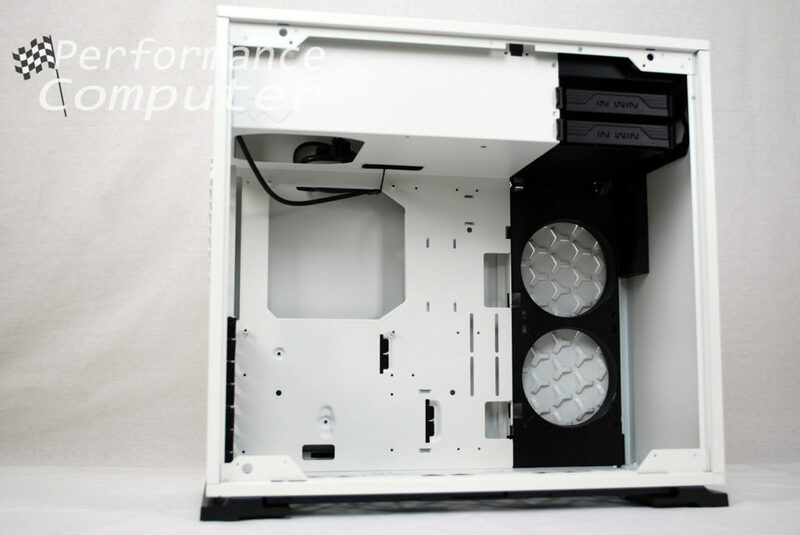 We installed the Polaris fans as intakes as our build utilizes positive pressure airflow. 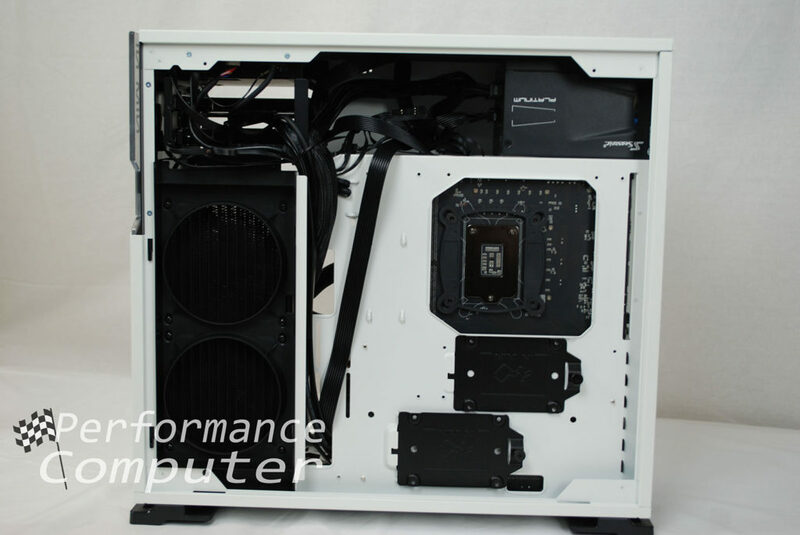 We added a third In Win Polaris RGB fan on the rear 120mm fan mount to exhaust hot air out the back of the case. The design of the 101C is such that the power supply is installed at the top of the case and our Seasonic Prime Ultra Platinum 550W PSU easily fit into the large area above. Yet another component for which I have nothing but praise is the Prime Ultra 550W. I have used Seasonic power supplies for as long as I can remember and in that time, I’ve never had one fail. Their Prime Ultra series is a fantastic set of units which have industry leading build quality, clean, attractive looks and dogged reliability. 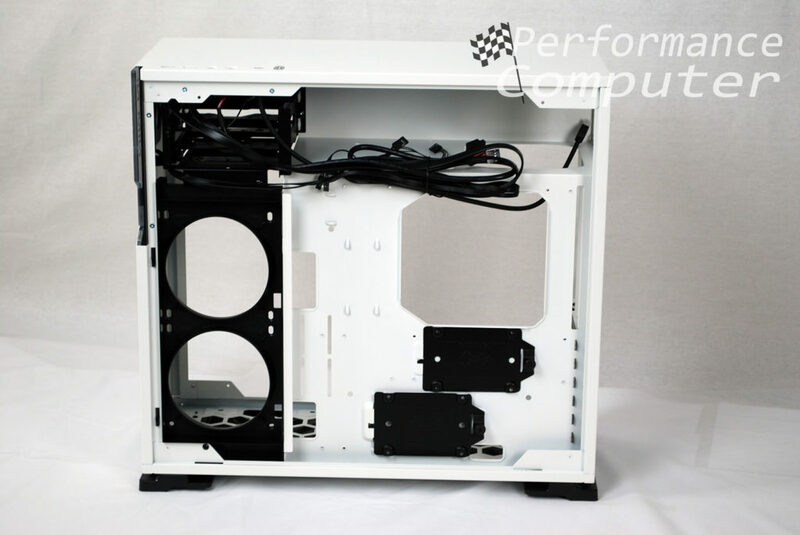 I’m not a big benchmarker and as this build is used purely as a workstation, they don’t really matter. Intel’s first consumer processor, the core i7-8700K is a phenomenal value and performs excellently for video editing in Adobe Premiere Pro. For those interested, here are the initial benchmark results from our build. 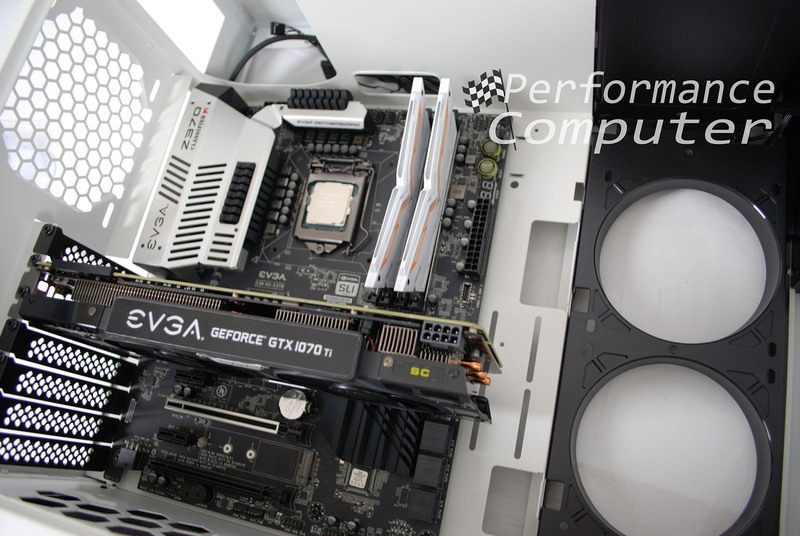 First, I’d like to thank our sponsors EVGA, In Win, Seasonic, Team Group and Western Digital for making this build possible, they are top-notch companies and we’ve had nothing but great experiences with their quality components over the years. I had a blast building this machine and every step of the way, the 101C delivered in spades. At its current price of $79, its feature set and build quality cannot be beat. If you are building your first computer and want a case that will last several builds while maintaining a consistent cool-factor, the 101C is for you. 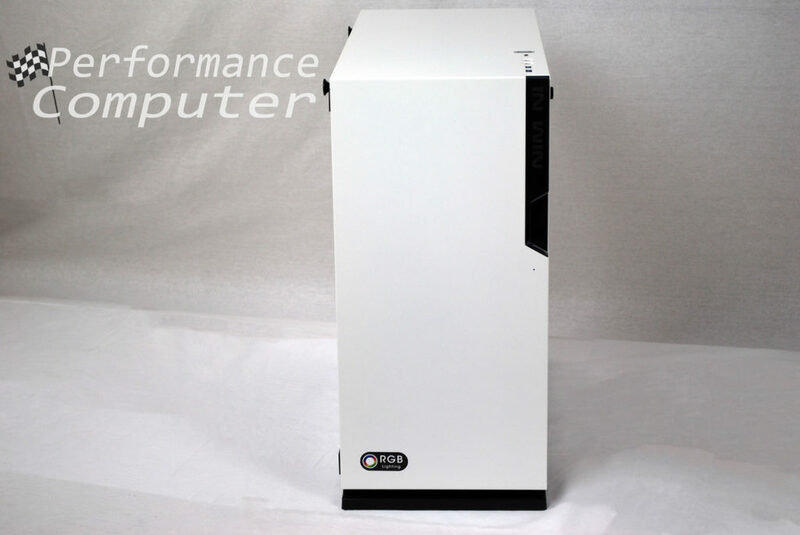 If you cheaped-out on your first computer case and want something better without breaking the bank, again you won’t regret buying a 101C. 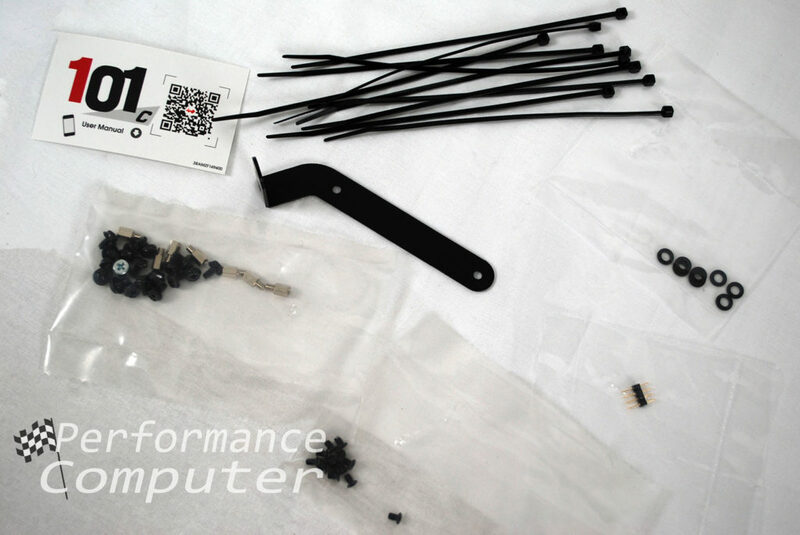 Stay tuned for our component reviews, everything from unboxing to performance and value will be covered in our reviews. Follow us on Twitter for the latest updates.